Many of us use our phone for just about everything, including keeping ourselves entertained. There are plenty of mobile gaming applications available that allow you to virtually never be bored. Mobile games allow users to test their knowledge, speed and strategy all at the tip of their fingers. Angry Birds is a very popular mobile gaming application that released in at the end of 2009. It is one of the most popular and highly downloaded application at Apple’s App Store. Angry Birds allows you to slingshot birds at pigs sitting in or within various set-ups. The goal of the game is to destroy all of the pigs. As you advance throughout the game new types of birds that have their own skills become available to use. There are even special editions and seasons available for players. 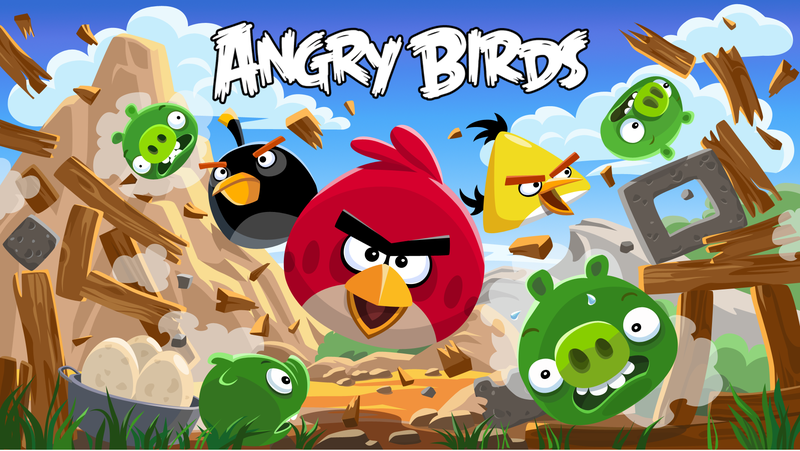 Angry Birds has become a mobile game phenomena being referenced in popular TV, news and more. Angry Birds costs 99 cents and is available for BlackBerry, iPhone, iPod Touch and iPad. Plants vs Zombies is a mobile application in which you have to ward off the invasion of zombies. There are various types of plants that you will need to utilize for protection and attacking zombies. There are some zombies that you will encounter that are stronger than others and will require greater skill. It is a really good defense game that engages the user in a variety of ways. There are new features to experience on every level making strategy a key part of the game. It is well worth the price of $1.99. It is available for Android, BlackBerry, iPhone, iPod Touch and iPad. Ready Steady Bang is a mobile application that brings western shootouts to your handheld device. It was developed by Chambers Judd and has quickly become a very popular mobile game. Ready Steady Bang requires the user to have speed and accuracy. You will be doing shoot-outs against AI controlled enemies if you are playing as a single player. If you choose multiplayer you will do shootouts against your friends. The game takes you through a series of ten country folk, with each level becoming increasingly difficult. It has great style and is very easy to play, making it quite addictive. Ready Steady Bang is free and is available for iOS and Android. Great Big War Game is the welcomed sequel to its predecessor Great Little War Game. The game was developed by Rubicon. It is a strategy based mobile gaming application that features great graphics and cartoon military units. You can play it as a single player or multiplayer. There are currently over 2.5 million players that are fans of the game so you will have no problem finding someone to play against. There are easy to follow instructions and manuals during the game that will make you an excellent player in no time. 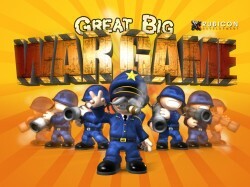 Great Big War is available now for iPad, iPhone and Android. This addictive game is available for only 99 cents. 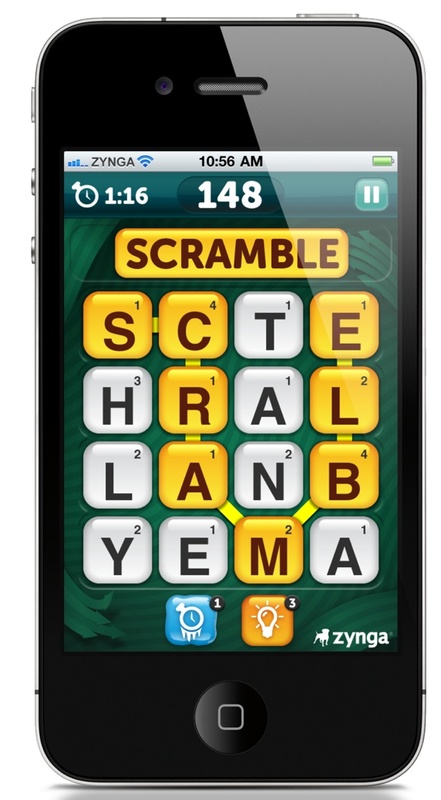 Scramble With Friends is a mobile game developed by Zynga. It is very similar to Boggle, with the object of the game being to find as many words in a scrambled grid of letters. Words can be formed horizontally, vertically, and diagonally by touching a letter and swiping until you have completed the word. You have two minutes to find as many words as possible. You can play this game against your friends on the go anywhere. There are lots of fun extras including Power-Ups and the Freeze Power Up which gives you additional time. There are other features including Bonus Power Ups which keeps the game interesting. You can play Scramble with Friends by signing in through Facebook. From there you can invite a friend to play with and take turns. You play a total of three rounds in order to compete for the highest total score. Scramble with Friends costs 99 cents and is available for iPhone and Android. Mobile games can keep you entertained while you are bored, waiting and just looking for something to keep you busy. Many mobile games allow you to play against others, making the experience more interactive and challenging. Keep in mind that many mobile games may start on a certain platform, but are always increasing their availability to other devices. Mobile games have become increasingly popular, showing that phones are no longer just for calling and texting.